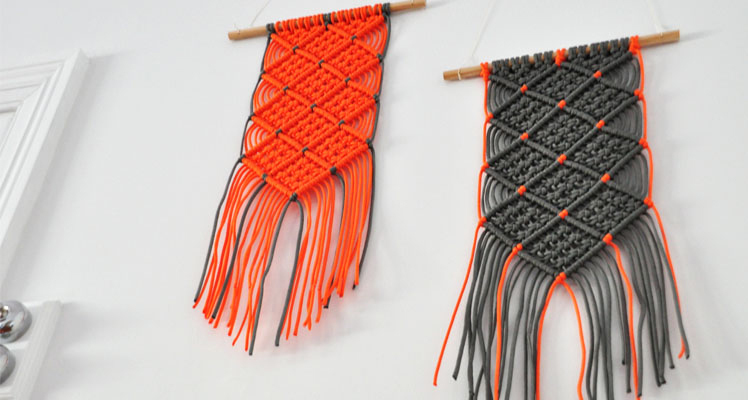 FK chats to Charlene, weaving extraordinaire of Macrame based label Warp and Weft. Can you tell us about your lovely label Warp and Weft and where the name comes from? Warp & Weft is a label that designs and creates by hand, a mix of both hand woven and macrame textiles. The name itself originally comes from the basic principles of weaving. Weaving require a warp and weft threads that are interlaced to create a piece of fabric. I wanted the name to represented the type of work that I love making. I studied at RMIT in 1998 doing textiles design for four year mastering in weave. I have been working full time in the creative field for over 13 years. My passion has always been in textiles and the only place I felt I could do this was in my own time. 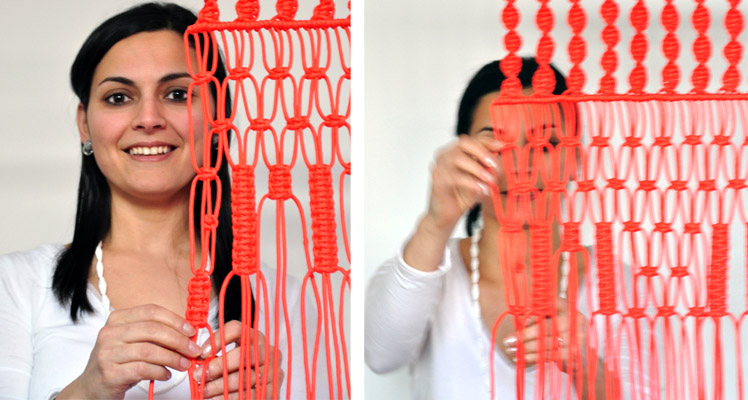 Weaving for over 16 years, I wanted to explore other areas of textiles and decided to learn Macramé. The techniques resonated with me and I loved it! I started making a range of pieces to decorate my home and would share my pieces with friends and family. It gained much attention (and brought back 70’s memories) and over time I started making pieces for others, followed by becoming a stockiest and recently designing more customized pieces for international clients such as Levis in the USA. 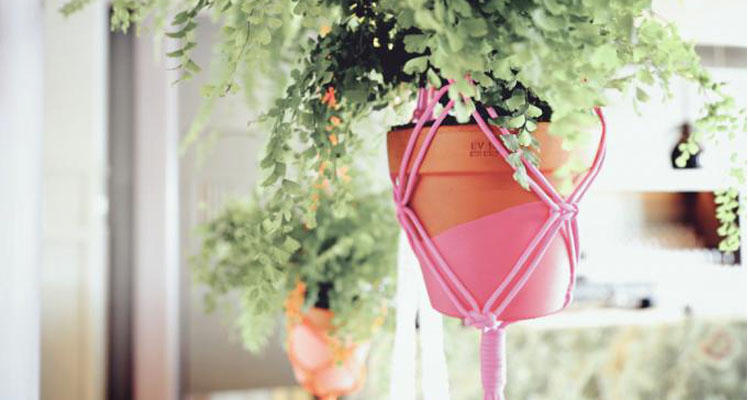 My inspiration can come from a range of discoveries, for example – The ‘Spider Web’ Plant hanger piece came to me from my fathers vast backyard in east Gisppland where you see an array of Phonognstha Graeffei’s that cleverly weaves a leaf into a center of its web as a hide–away. The shape and web like structure gave me my inspiration. 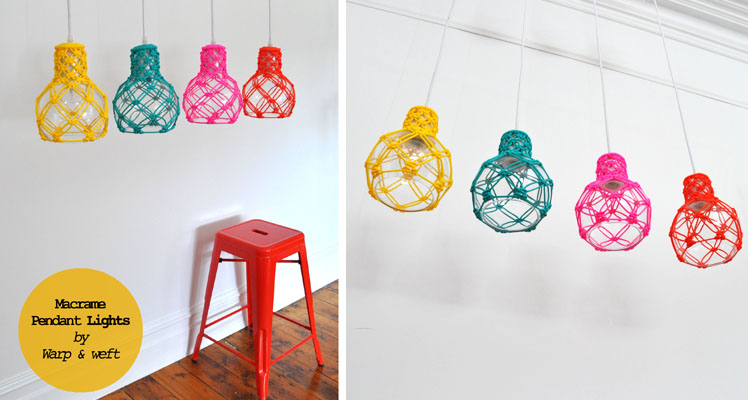 My pieces are designed with a modern twist to the traditional classic Macramé. 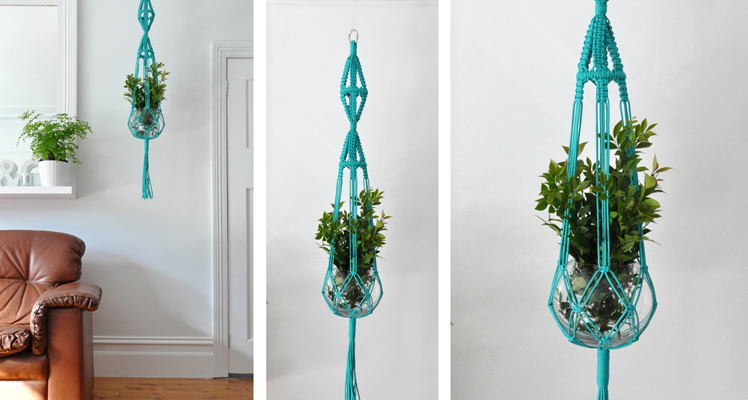 I receive lots of comments on how amazing I make Macramé look and their feedback alone is a huge motivator. My workspace starts in the study and moves into our large living room at the moment! With more recent project being on the larger scale it has moved me into areas requiring large spaces. It’s a messy workspace, lots of materials and multiple projects taking place at once which for me means lots of excitement. My creative process start with initial hand sketches followed by exploring materials, colours and alternative way to execute the idea into a final finished product. This applies to both my own collection range and also a service I provide for clients for larger projects. 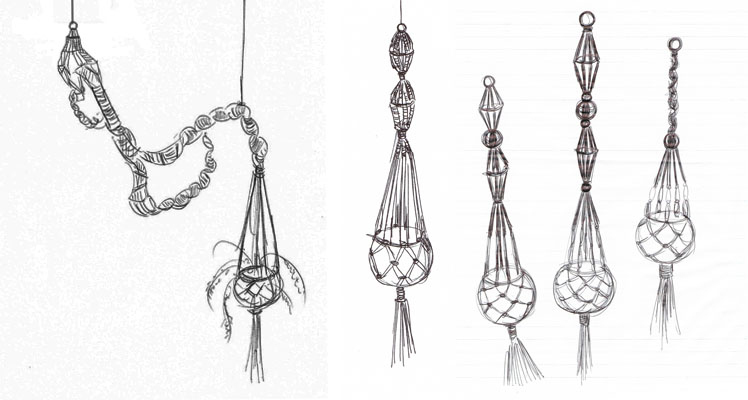 What do you love about working with macrame? And what are some of the challenges? 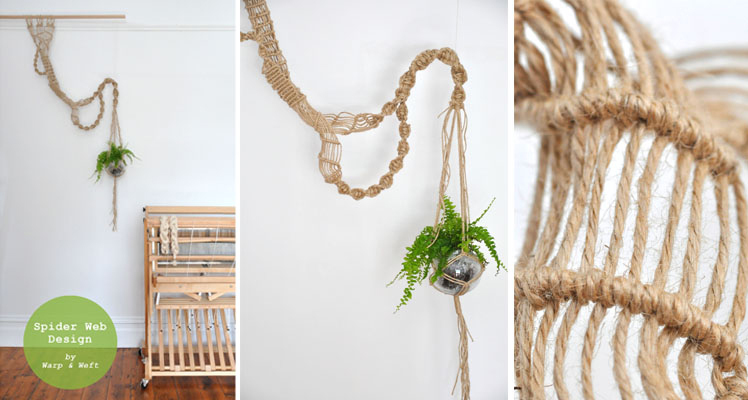 Macramé essentially only requires 3 basic tools – Cord, knot styles and imagination. I love how you can start off with a piece of cord, a selection of cord colours and designs to conjure up amazing pieces. And with a simple design change you can have something completely different. It’s a traditional past time skill that I can still use now and into the future. Some of the challenges are looking for alternative materials. Buying local and support local suppliers are becoming scares in Australia. Other challengers are with customised requests; unique pieces that are taller then your 12 foot ceiling! What new projects are you working on and where would you like to see Warp and Weft in the future? New projects are focused on working in collaboration with other designers and product specialists to create new products as well as installation pieces for special events. 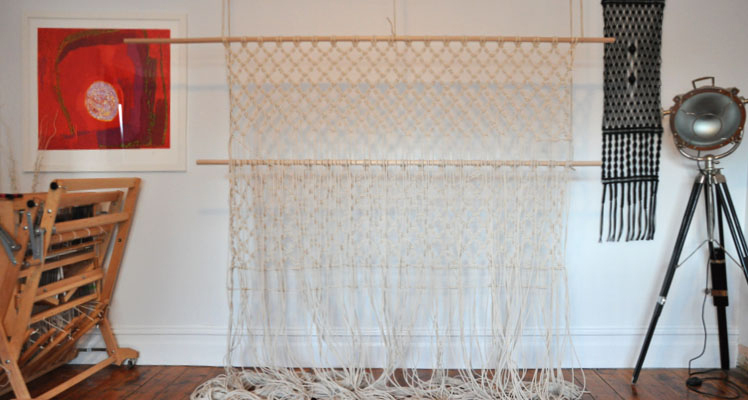 I hope to see Warp and Weft venture into the artistic side through creating one-off sculptural macrame pieces for gallery exhibits. My goal when I hit 40 is to own a gallery space; a place were I can showcase the works of upcoming designers & artist, conduct workshops around weaving and macramé and host events in the field of textile/art/craft ad design.